Time = 12:17. Learn to relax when anxious with this simple, soothing meditation. Belly Breathing is an especially relaxing and grounding practice than you can learn and do on your own. Our gift to you from our At Ease — Anxiety & Worry Relief app. Time = 15:52. Let this simple Autogenic Relaxation technique help you relax. This version does not have words to guide you out of meditation, so it is ideal for relaxing into sleep. Our gift to you from our iSleep Easy app. Time = 18:04 (4 min of voice guidance with music continuing for 14 more mins) A brief meditation to help you reset and fall back to sleep when you awaken in the middle of the night. Useful when your emotions and thoughts are running wild. Calming and reassuring. Time = 24:10 Relax completely and release tension from every part of the body. Can be used anytime of day or when you are ready for sleep. Remember relaxation is not something you can "do". It's a letting go of doing. Let this meditation help you to let go. Time =  17:44 This meditation helps you to be fully present to all of the experiences you have while walking -- what you experience within yourself and in the world around you. Time = 10:38 (with music) Find a calm and centered place when anxiety has been triggered by a stressful situation. Time = 20:24 (voice only) Enjoy this beautiful, reflective meditation to find perspective, balance and peace in the midst of change. Time = 21:42 (voice only) Experience and celebrate life’s gifts and plant the seed of your deepest desire going forward. An opportunity for gratitude and remembering what really matters. Time = 17:50 — (voice only): Experience stillness in the midst of busyness. Find the quiet, still center in your own awareness. Time = 20 min (no music) This meditation will be especially helpful when you feel scattered and ungrounded. It will help you relax deeply, becoming centered and calm. Time = 8:54 (no music) A reflective meditation inviting relaxation into the changes of life. Time = 20:19 (no music) Every moment is new and different. Open to the energy of life, allowing it to renew your body, mind and spirit. Use this meditation when you want to feel refreshed. Time = 19:50 (last 5 mins. music only) Loneliness can be a doorway to deeper connection with yourself and others. Go deep into the feeling of loneliness to find that connection. Time = 24:52 (last 6 mins. music only) This meditation is designed to help you visualize a healthy body. It focuses on the heart, lungs, circulation and digestion, all of which give the body energy and nourishment for health and healing. Read the Show Comments and Tips for more about this meditation. Time = 18:27 This meditation for pregnant women will help you to relax and tune into your baby, strengthening your connection. Fathers to be can also listen to this meditation by adapting it to connect to the baby inside the mother. Read the Show Comments and Tips for more about this meditation. Time = 19:30 Recorded live with our guided meditation group, this meditation is meant to strengthen and develop your capacity for compassion. It is not just about compassion for others, but also for yourself. Read the Show Comments and Tips for more about this meditation. Time = 3:50 Use this meditation to open a meeting. It will help clear your mind and be more present. Use it alone or in a group. Read the Show Comments and Tips for more about this meditation. Time = 25:45 This meditation is designed to increase mind-body coordination and mental and physical balance. Time = 14:20 (last 4 mins music only) This meditation is designed to help you relax into the flow of life. It helps to calm the agitation and restlessness of impatience. Read the Show Comments and Tips for more about this meditation. Time = 15:30 (last 8 mins music only) Simple phrases to help children relax at bedtime, including a guided visualization to create a Make Believe Sleep Friend. Read the Show Comments and Tips for more about this meditation. Time = 13:17 This meditation allows you to relax into anger, thus allowing it to flow through and resolve. Read the Show Comments and Tips for more about this meditation. Time = 7:08 The subtle instructions of this meditation point you to the experience of the "here and now". Read the Show Comments and Tips for more about this meditation. Time = 24:30 (last 10 min music only) This meditation guides you beyond thought and emotions to a place of inner knowing. Helpful for making decisions and finding clarity. Use it to develop your intuition. Time = 10:10 This brief meditation helps you to relax deeply and let go of tension, even when you have just a few minutes to spare. An ideal break from work or studies! (Time = 28:28) This meditation uses visualization to help you open your heart, relax into all the feelings it contains, find the vibration of love, radiate it and connect with those you love. Time 19:34 (last 5 min music only) This meditation uses visualization to help you to wake up and energize your body for the day. Be playful and creative with the visualization process, doing what works for you. Time = 19:07 (last 5 min music only) Meditation to focus and steady the mind. Time = 25:57 This meditation allows you to drop into a deeper level of awareness to experience the source of creativity, intelligence, healing. Time = 22:57 (last 9 min music only) This meditation does more than simply help you relax. It helps to dissolve stress at a deep level. It is particularly useful when you are feeling pressured. Time = 13:32 Use this guided meditation to get your creativity flowing. Good for artists, writers, musicians or anyone who wants to be more creative. Time = 18:59 Tap into your intuition for self-healing with this relaxing meditation. Time = 24:05 (last 10 min music alone) Especially useful when you are tired, this meditation will help you to gain a deep rest. Time = 21:45 (last 8 min music only) This meditation is designed to help you feel supported in your grief. Time = 17:45 (last 5 min music only) You can experience peace even during challenging times. Listen to this meditation to discover peace within, especially when you are experiencing tension or conflict in life. Time = 26:36 (last 10 min music only) Connect with and embrace your "inner child". Use this meditation to explore your inner life -- what you need, what needs healing and what wants to be felt and expressed. Time = 13:34 Use this meditation when you are having difficulty living with change. It's designed to help you move through it more easily -- to let go of resistance, relax into your reactions to change, and discover that which never changes. Time = 17:07 Mary comments on a listener's email -- how to listen to listen to these meditations. Listen for insights on how to meditate and enhance your experience. This meditation is designed to help develop trust in life as it is unfolding moment to moment. It is not about trust in somebody or something -- it's about a basic trust in life and in oneself. Mary talks about meditation and the Meditation Oasis podcast. Meditation Oasis is about you and your experience; meditations in daily activity; an expanded definition of meditation and more... Visit us at www.meditationoasis.com or meditationoasis.wordpress.com and let us know what meditation is to you! When we drop our resistance to life and stop trying to manipulate our experience, what is discovered is love. It's the love that vibrates at the very core of our existence. 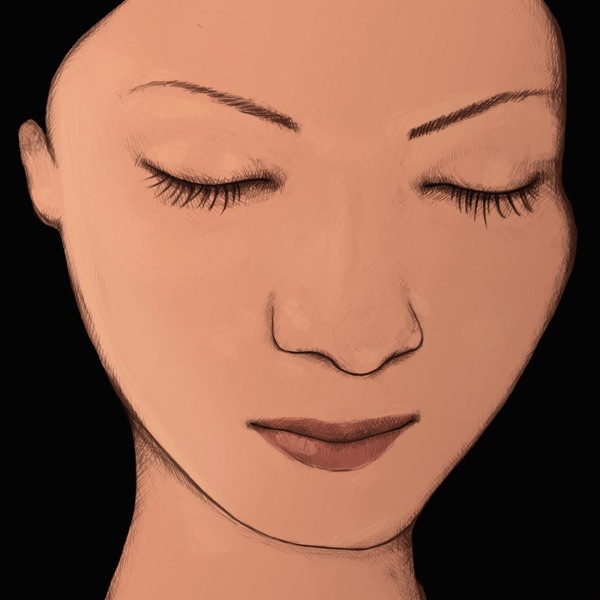 If you are new to meditation, you might want to try Episode 1, 3 or 5 first (Deep Relaxation, the Breath Awareness Meditation, or Simply Being) first. You can visit us at www.meditationoasis.com or at our blog at meditationoasis.wordpress.com. We welcome questions and comments! Gratitude is the highest, most fulfilling emotion we can have. This meditation sets the stage for the experience of gratitude. You can visit at www.meditationoasis.com or at our blog at meditationoasis.wordpress.com. We welcome questions and comments! Strengthening our connection with the earth and nature nourishes body, mind and spirit. This meditation brings much of the benefit of time spent in nature to us wherever we are. Visit meditationoasis.com for suggestions on how to meditate in nature. This meditation is designed to enhance your experience of "aliveness" and help you enjoy the fulfillment of simply being alive. If you are new to our meditations, you might want to try some of our others before using this one. You can email us your questions and comments at www.meditationoasis.com or at our blog at meditationoasis.wordpress.com. This meditation helps relieve the suffering which comes with pain. It brings about a state in which pain is transcended to reveal peace within. True meditation is effortless, and yet we can't become effortless through trying. This guided meditation is designed to help effortlessness happen. Note: We are experimenting with meditation on YouTube. If you search for "mandala meditation" on YouTube, you'll find a meditation with a selection of music from Richard's Pure Light CD with the beautiful mandala paintings of Barry Stevens. This meditation is designed to help you flow more easily with life. It involves letting go of resistance to what is naturally happening, as well as letting go of the attempt to manipulate what is happening. Letting go creates more ease in living. This body-centered meditation is especially helpful when you feel scattered or discombobulated. It is calming, brings your awareness into your body and anchors your energy into the earth. A variation on the basic Breath Awareness Meditation, the Breath in the Heart Meditation helps open the heart. The focus on the heart can bring about some emotional release and have a healing effect. This meditation may be useful for those who are grieving. This meditation is to help you to take advantage of the natural process of healing that is going on all the time. You can read more about this meditation at our blog (www.meditationoasis.wordpress.com). It's natural for the mind to go inward when we give it the opportunity. As soon as we close our eyes, awareness starts to settle down. This meditation will help you to discover that natural movement of the mind and allow it to take you deep within. Please feel free to visit us at www.meditationoasis.com, or visit Mary's Meditation Oasis blog at meditationoasis.wordpress.com. You can ask questions and leave comments there. This meditation will help the emotions flow more freely. You can listen to it to it when you feel rough or upset or simply to experience greater ease in life. By allowing the emotions to be fully felt, without resistance and without mental involvement, they are able to resolve and move through, rather than becoming "stuck". (We did this episode in response to an email requesting help with grief.) Please feel free to visit us at www.meditationoasis.com, or visit Mary's Meditation Oasis blog at meditationoasis.wordpress.com. You can ask questions and leave comments there. In response to requests, this episode is a track of music alone, without a guided meditation. This is the last track on our Pure Relaxation CD. You can use this music while you do your own meditation or simply as a background as you work or relax. You can also use the music as a meditation by listening to it with your full attention. Sit or lie down, close your eyes, and bring your attention to the music. Whenever you find your attention has wandered, bring it easily back to the music. As always, don't strain or try to force your mind to follow the music, just be easy about it and "take it as it comes".We love hearing from people listening to our podcasts -- visit www.meditationoasis.com and email us your questions and comments! Enjoy this meditation anytime you feel pressured, like you are struggling with something, or simply want to be "more in the moment". Mary guides you into the meditation and gives you the option to continue longer on your own at the end. Once you've meditated with this enough times, you'll find you can do it on your own anytime you need to. Just come back to this episode for a "tune-up" if it isn't easy anymore. This meditation will help you to experience silence and peace in life. It is a variation on the Breath Awareness Meditation in Episode 3. It's a more advanced meditation. If you have not already done meditations involving watching the breath, we recommend that you use the Breath Awareness Meditation for while before trying this. We'd love to hear from you -- visit www.meditationoasis.com and email us your questions and comments! Enjoy this Breath Awareness Guided Meditation for its soothing, calming effect. Once you become accustomed to the process, it's easy to do on your own anytime. Visit meditationoasis.com if you have questions or comments! This Body Awareness Meditation was recorded live with Mary's guided meditation group. It helps you to be more in tune with your body, in the present moment and grounded.